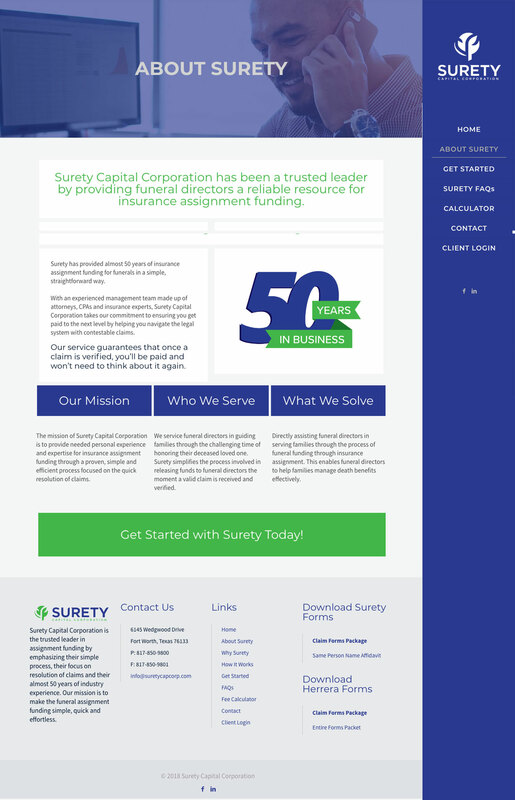 Surety Capital Corporation is an assignment funding company tailored to the unique circumstances surrounding each family. Our goal is to satisfying the needs of our funeral directors and the families they serve. In every case, our experienced staff strives to improve the overall service funding process, reduce administrative costs, provide a no-risk recourse and eliminate accounts receivable.